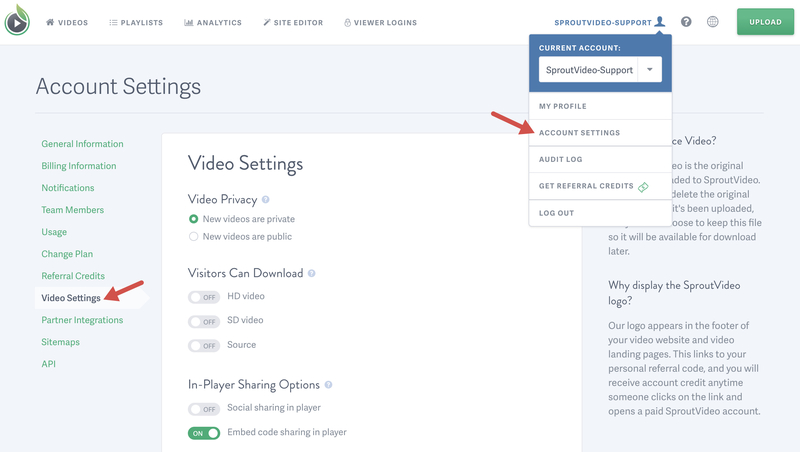 If you are embedding videos on your own website, it is possible for others to copy the embed code from the source code for your page, and then embed the video on their own site. 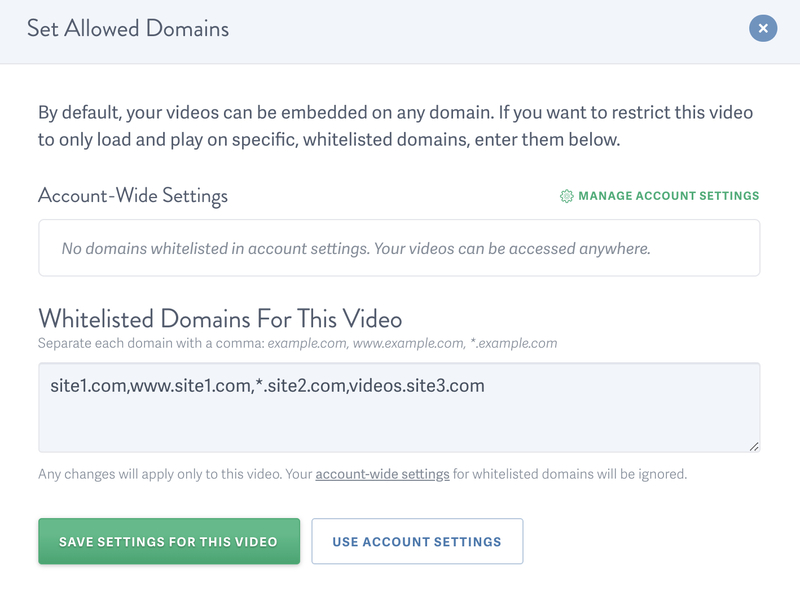 If you only want your video to appear on your website, you will need to use SproutVideo’s domain whitelisting feature called Allowed Domains. 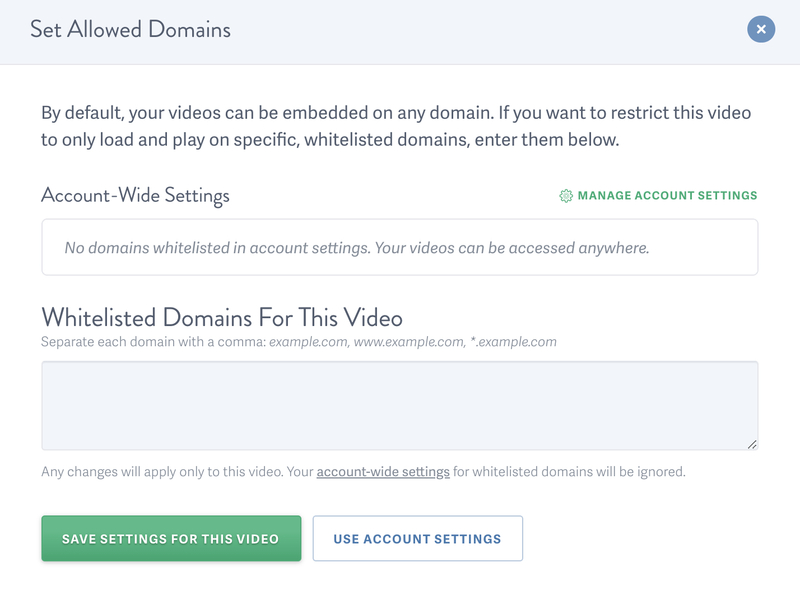 Allowed Domains enables you to limit where your embedded videos can play, even if someone takes the embed code from your page. 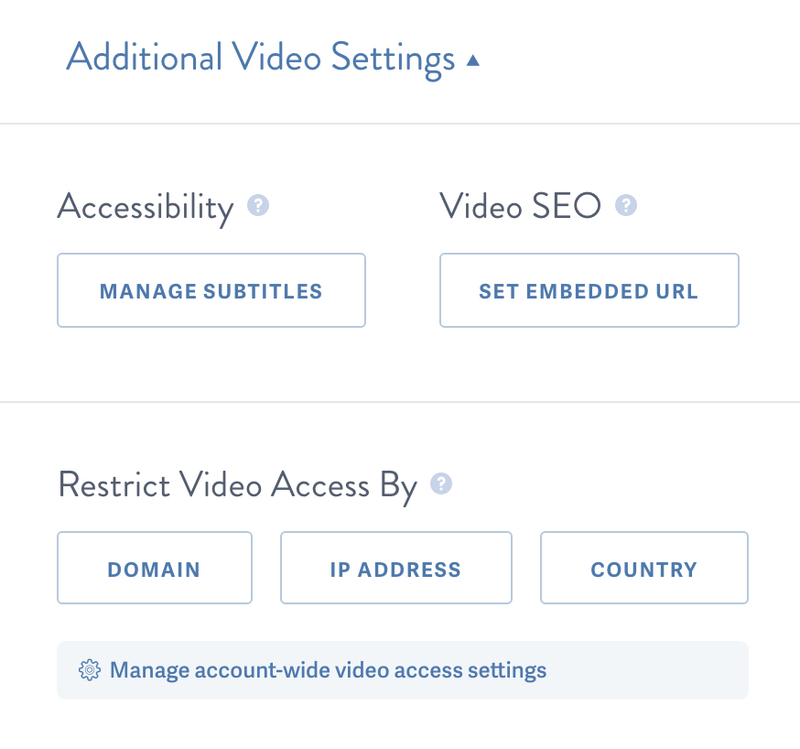 You can set Allowed Domains at the account-wide level, meaning it will apply to all the videos in your account, or you can set Allowed Domains for individual videos, which will override any account-wide Allowed Domains Settings. Click ‘Save’ to apply your changes. This list will allow your embedded videos to play on site1.com and www.site1.com (but not on any subdomains on site1.com), on any subdomain on site2.com (but not on site2.com) and only on the site3.com “videos” subdomain.